Powerline 15XT Co2 Gun subject to N.J.S.A. 2C:39-5(b). It is hard to imagine, but BB guns, paintball guns, and Airsoft guns are considered prohibited weapons in New Jersey. If you do not have a valid firearm permit or firearms ID card allowing you to carry one of these items, you could endure serious legal problems. Because NJ law makes only a slight distinction between a deadly weapon (such as a handgun) and a toy (such as a paintball gun), you may be subject to prison time if you are caught with a BB gun, paintball gun, or Airsoft gun. NOTE: Christopher Perry was quoted as an authority on gun rights and laws in New Jersey in April 2018 in the Bergen Record. The Tormey Law Firm is a skilled criminal defense team whose lawyers have extensive experience representing clients facing illegal gun charges, including possession of a paintball gun, illegal possession of a handgun, and unlawful possession of a weapon in East Hanover, Denville, and Dover. Because we have an office conveniently located in Morristown, NJ, we are always available to help you with your gun possession case. To get in touch with us immediately for a free consultation, call 866-949-6948. Here is an example of a BB gun case our attorneys successfully handled in the Morris County Superior Court for one of our clients. Under N.J.S.A. 2C:39-1, BB guns, paintball guns, and Airsoft guns are considered “firearms” in New Jersey. Charges such as possession of a handgun without a permit, unlawful possession of a weapon, and possession of a weapon for an unlawful purpose can arise even with an item as minor as an Airsoft gun. Second degree charges in New Jersey can result in between five (5) and 10 years in New Jersey State Prison. These charges also have a presumption of incarceration (even when the defendant has no prior criminal record). This means that if you are convicted of possession of a BB gun, you will be going to prison. Moreover, the Graves Act applies to firearms offenses in New Jersey and requires mandatory jail time and parole ineligibility even for first-time offenders. A United States Marine and his wife were charged with illegal gun possession in Morris County. This was a Graves Act offense, which required jail time and parole ineligibility. Instead, Mr. Tormey was able to get the defendants admitted into the Pre-Trial Intervention (PTI) program, resulting in no criminal record. A United States Marine was charged with illegal weapons possession in Hudson County. This was also a Graves Act Offense, typically requiring mandatory jail time. Instead, Mr. Tormey successfully lobbied for the defendant to be sentenced to probation and no jail time. An 18-year-old kid and his friend were charged with illegal weapons possession when visiting Cape May on vacation from their home state of Pennsylvania. Again, this was a Graves Act offense requiring jail time and parole ineligibility. Mr. Tormey managed to get the defendant admitted into the PTI program, resulting in no criminal record when successfully completed. 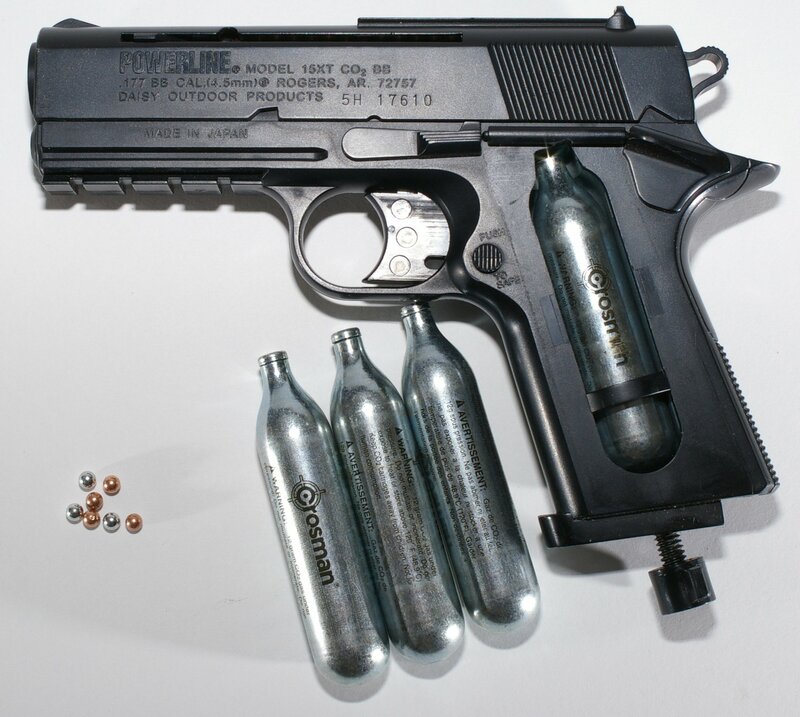 The fact of the matter is that possessing a BB gun or Airsoft gun, even when lawfully purchased at a flea market or a sporting goods store, can lead to a felony conviction and many years in New Jersey State Prison. If you own any of these weapons, it is imperative that you have them properly registered/permitted to avoid any future legal issues. If these legal issues have already arisen, it is crucial that you contact an experienced firearms defense attorney to combat the charges against you. If the Graves Act is implicated, the State’s plea offer will almost certainly include state prison time. That is why it is important that you contact an experienced criminal defense lawyer for representation. The collateral consequences of a weapons charge conviction are life-altering. The Tormey Law Firm can help. Give us a call anytime day or night at 866-949-6948 for a free consultation, or you can use our online contact form.